Bioidentical hormone compounding is a customized hormone therapy treatment that is individually tailored to a woman's biological needs. The compounded bioidentical hormones are created in a compounding pharmacy. The pharmacies that provide bioidentical hormone compounding services are licensed healthcare practitioners. Bioidentical hormone compounding is a hormone therapy made to soothe the effects of menopause. Bioidentical hormone compounding has increased in popularity because of women's desire to rid themselves of the many symptoms of menopause. Symptoms of menopause include hair loss, vaginal dryness, tingling extremities, irritability, and osteoporosis. Menopause is a biological stage in women's lives when their bodies stop producing enough reproductive hormones, such as estrogen and progesterone. Such significant change in women's bodies can manifest physically in a number of menopause symptoms. For this reason, bioidentical hormone compounding is just one of the treatment methods women consider. How Does Bioidentical Hormone Compounding Work? Bioidentical hormone compounding isn't the only treatment women turn to in the battle to combat their menopause symptoms. Many women use traditional hormone replacement therapy. Others prefer more natural methods that involve hormone-regulating supplements and phytoestrogenic supplements. Bioidentical hormone compounding works by introducing hormones into the body that are structurally similar to naturally occurring hormones on a molecular level. This is different from traditional hormone replacement therapy because the hormones have been specifically tailored to suit the patient's individual needs. Side effects of traditional hormone replacement therapy are thought to revolve around the engineered hormones being an incorrect match to the ones already in women's bodies. Bioidentical hormone compounding seeks to eliminate this complication to make the process smoother. What Are the Risks of Bioidentical Hormone Compounding? Despite its list of benefits and burgeoning popularity, there are some risks involved with bioidentical hormone therapy. Firstly, the presence of so many internet-based pharmacies issuing bioidentical hormone therapy means their marketing claims aren't under close regulation. Also, there is a lack of evidence to support the efficacy of these bioidentical hormones. Other problems in relation to bioidentical hormone compounding include the terminology used in order to sell such drugs. 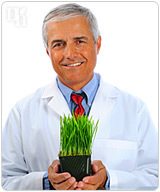 “Bioidentical” as a term is not scientific, and it means something that is neither artificial, nor pathologic. It is not a term recognized by The Food and Drug Administration (FDA), meaning that a specific therapy does not have to meet any standards to label itself a bioidentical treatment. Because of this, many medical practitioners would advise patients to be cautious in the pursuit of bioidentical compounding treatment medication. Because of the side effects involved with bioidentical hormone compounding, women sometimes opt for alternatives in the treatment of symptoms related to dwindling hormone levels. Click here to find out more about these alternative treatments.